It’s always a good problem to have too much starting pitching, and for the Indians they may have some tough decisions to make as it looks closer than ever that Carlos Carrasco is nearing a return to the big league club. Today manager Terry Francona said that Carrasco is set for a rehab start in AA Akron with the Rubber Ducks on Saturday, and could be on the fast track back with the big league club. 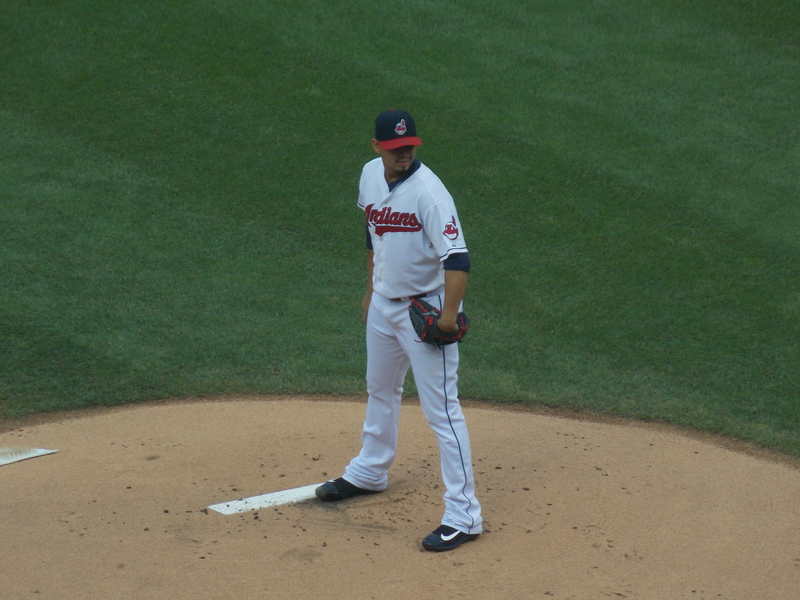 Carlos Carrasco will start rehab assignment Sat. night at Class AA Akron — four innings/60 pitches. Tito says he could return quickly. Carrasco has been shelved since late April with a strained left hamstring, and Trevor Bauer has been getting most of his starts. Bauer is 3-2 with a 4.31 ERA in five starts for the Tribe. He may head back to the pen, or the team may move whoever is in that final rotation spot – Mike Clevinger or Cody Anderson, out of the rotation so you could have a starting five of Corey Kluber, Carlos Carrasco, Danny Salazar, Josh Tomlin and Bauer. No matter how you look at it, it’s a good problem to have, and hopefully Carrasco can have a big impact on this team once he’s back.